Some of the 'oh the humanity' talk in response to it all was slightly excessive. A few of the comments I saw read a little like obituaries indeed. But I accept at the very least in effect sacking Magnussen by email, and getting your PA to draft it, is very bad way of doing things. Some think the vacant Lotus seat may be an option for him, indeed drivers getting a second F1 chance after a spell out while rare are not unheard of. 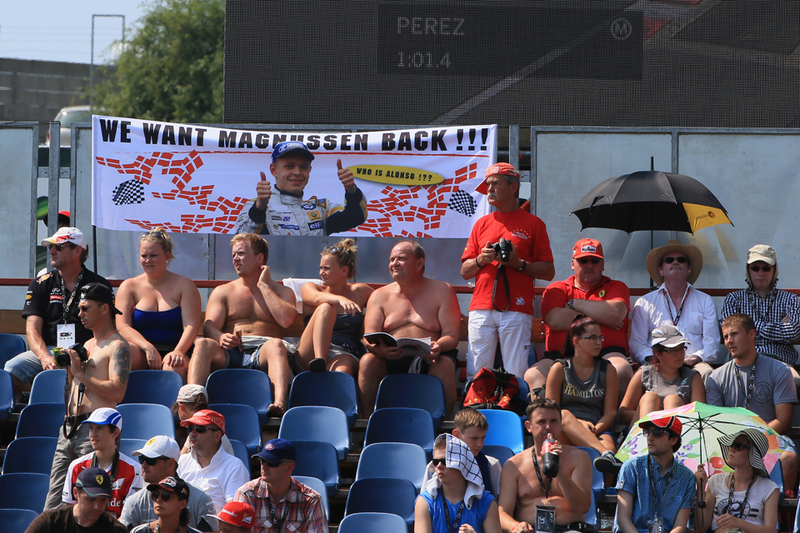 But even so in the here and now Magnussen's F1 future is far from certain. And as outlined however it was communicated it strikes very much as a rather rapid unravelling of a promising career. 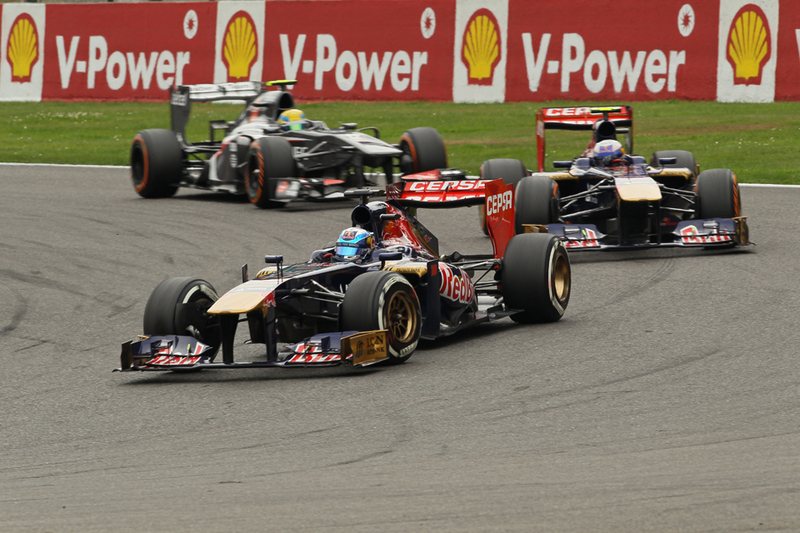 F1 is like any sport, in that it has its written rules but also its unwritten ones. And the unwritten ones change over time just as the written ones do. Perhaps even more readily. Of course by their nature they're much harder to pin down. They often apply on-field as it were of course, but there also are increasingly in F1 a set of unwritten rules for how drivers are judged and their resultant fates. And Magnussen's experience has appeared to confirm a good few of them. In this game these days you're either moving up or moving out (unless you can justify yourself with money and/or commercial opportunities). Three years is about the limit to demonstrate that you are one from the top drawer, but sometimes it's less even than that. Essentially a single pitch will come your way and you have to swing and hit. One strike and you're out. Magnussen knows this now. And the margins between hitting and missing can be fine. See that when Daniel Ricciardo and Jean-Eric Vergne were Toro Rosso team mates there often was little to choose between them, indeed many reckoned Vergne to be the one with more potential. Only in qualifying did Ricciardo perform better and there Vergne clearly improved subsequently. But come late last year while Ricciardo was establishing a star is born reputation at Red Bull Vergne was being ushered to the exit door of F1 altogether (at least though the grapevine has him coming back next year - succour for Magnussen perhaps). There's the matter of timing too - crucially Ricciardo swung and hit at the arbitrary point when the ball came his way, when Mark Webber to everyone's surprise decided to walk away from Red Bull to go to WEC (though Webber may have been on his way out anyway) and thus created a vacancy at the big team; Vergne like Magnussen swung and missed. There's an element of sheer luck to it all also. In Magnussen's case had Alonso's relationship with Ferrari stayed together then the Dane in all probability would have got another year in a McLaren race seat to prove himself. Who knows how he might have done with a year's experience. But perhaps though this sort of phenomenon only exacerbates the knife-edge quality - if you don't know when the decision crunch point (either for an opportunity or ditching) is coming you can't afford to waste time getting your act together. Simply you most perform at all times. You could say it is all befitting of a game that almost prides itself on its ruthlessness. But there is an attendant risk of the potential waste of talent. Nigel Mansell is a classic case - for the first four seasons or so of his F1 career he was considered little more than a gritty trier by most. Quick on occasion yes but also prone to error especially under pressure (hence Peter Warr's oft-repeated dismissive assessment of Nige's potential). Only upon winning his first Grand Prix in late 1985 was there apparently a transformative effect. Unless he'd brought big cheques from somewhere it seems near-impossible that he'd get that time to get it right these days. The difference between the Felipe Massa that debuted in 2002 and that which oh-so nearly took the title in 2008 was close to unrecognisable. Would the Ferrari team of today have stuck with Gilles Villeneuve after his tricky first two-thirds of a season in 1978? There was another unwritten rule that did for Magnussen, although not really a new one. 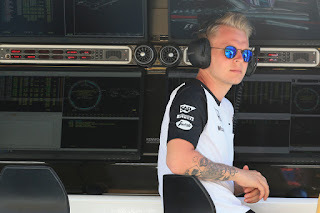 It occurred even as the brave faces were put on by all at the McLaren Technology Centre just before Christmas last year when the 2015 race drivers were confirmed and Magnussen sat there conspicuously a little like Banquo's ghost. Ron Dennis attempted to make it sound like the decision to retain Button to partner Alonso represented a mere pause in Magnussen's upward trajectory, but most realised that in anything being the incumbent comes with all sorts of advantages. You are the one that can show your worth by doing; pretenders can only make hypothetical claims and from the sidelines. There also is the out of sight, out of mind risk. 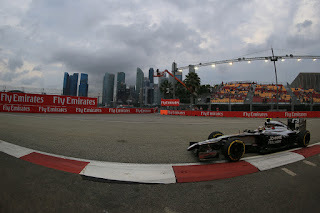 Compounded by that Magnussen wasn't even driving anything in 2015, let alone an F1 car. People perhaps simply forget about you. Reflecting this McLaren's other protégée Stoffel Vandoorne appeared this year to be usurping him in the Woking pecking order with his impressive progress to the GP2 crown. As if the fates were rubbing Magnussen's nose in it in the one (unexpected) chance he got to show his worth this year sitting in for Alonso in Melbourne his car didn't even last beyond the recce lap. Another consideration is the way F1 driver deals are done in the modern age. Time was that F1 bods would talk of the driver market 'silly season' of who-goes-where rumours starting in the Hockenheim race in late-ish summer every year, as that's when the following years' driver deals started to be put together. Not now. Now the driver market is pretty much a never-ending process, and not always just for the following season - often several years ahead are planned for and decided. For example Alonso's deal to move to Ferrari intended to start in 2011 (though it was later brought forward) was thought to have been inked as early as in 2008. Damon Hill's being booted out of Williams for 1997 was reckoned to have been decided in late 1995 when he was going through some desperate form. That he won a title for the team in between times wasn't enough to save him. So with this if a driver underperforms even for a time they may find their ultimate fate sealed there and then. We also know about the bigger picture here. The pressure on F1 seats is huge by historical standards. There are but 20 of them, very small compared with most of the past (though it's increasing to 22 next year assuming no existing teams disappear). And that such is the sport's financial skew at least four or five of those places are hoovered up by those bringing money. Add that individual F1 careers are longer than they've ever been mainly due to the sport's great safety advances. Add also that the four Red Bull rides are reserved almost exclusively for its own creations. All this together means the opportunities are squeezed to an almost irreducible minimum. Possibly this creates its own momentum too. That teams will be more ruthless in discarding current drivers in order to create space as required. That employers will look for shortcuts in forming a view; manifested perhaps in making their minds up quickly and then not reconsidering them once they perceive that a pilot's had their chance and not grabbed it. Perhaps we're less patient generally these days, maybe related to greater exposure and scrutiny. After all 'not getting time like they used to' is a common lament in football too. Whatever was the explanation the highly-promising Magnussen got very little of it.